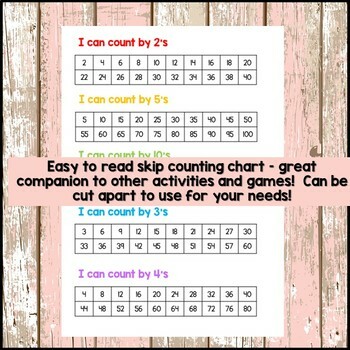 FREE skip counting practice/helper charts. Would be great to practice before independent work is expected, or as a helper chart to differentiate. 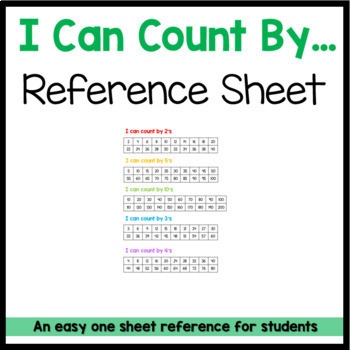 Also great for tutoring/small group or class display. I put 3's and 4's at the bottom out of numeric order so that you can cut them off if they're too high for your kiddos.